Next up for auction! Make that TWO auctions! If you are on the lookout for a custom hair accessory for you or your toddler or babe, then stop here! Lacey Jones (personal friend of Stacy's) creates gorgeous, one-of-a-kind accessories for women and children alike. You won't find a website here, as Lacey does not mass produce or typically take in outside orders, aside from close friends. What you WILL find is stylish, quality work comparable to that found on other popular sites. 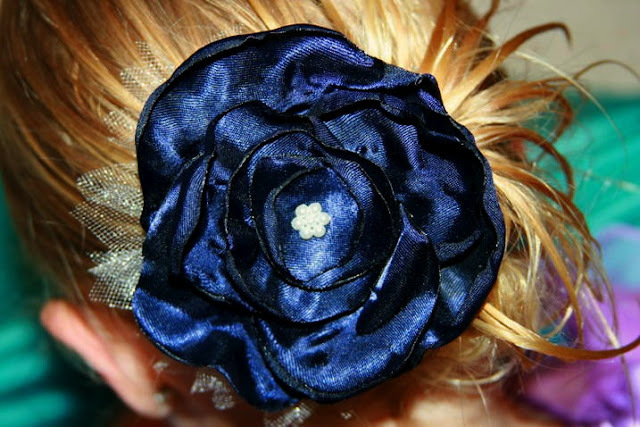 These samplings show rolled fabric rosettes and a singed satin multi-petal flower each mounted on a double pronged alligator clip to place directly in the hair. Other hardware options include plastic, elastic, or metal headbands for youth and adults, or elastic or lace headbands for toddlers and babies. When you win this auction you will have direct contact with Lacey to work directly with her to create exactly what you want. Whether that be something for a Christmas dress, Blessing/Christening Day, or everyday wear, Lacey will make it and you will love it! 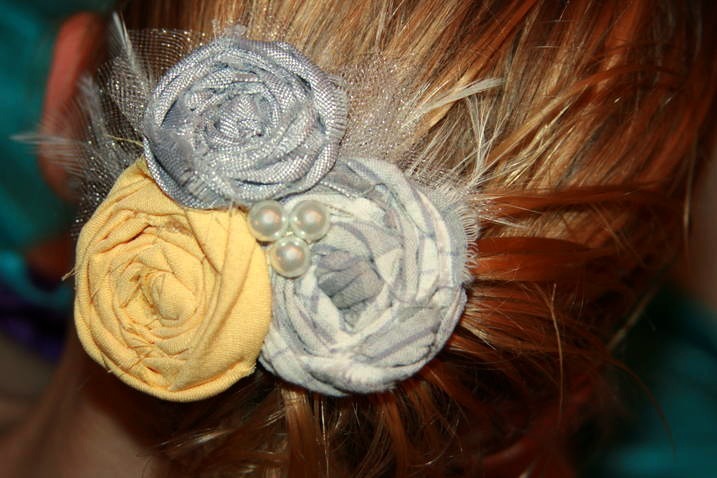 The winner of this auction will receive ONE hair accessory and/or headband. THIS PACKAGE IS VALUED AT $10.00. BIDDING WILL START AT $4.00 AND WILL INCREASE BY A MINIMUM BID OF $1.00 PER BID. Thanks for sharing her with us ya'll....$20!! !